Citric acid is a colorless translucent crystalline powder, odorless, citric acid soluble in water, citric acid has a special acid taste. Citric Acid Monohydrate is weathered easily in the air. Citric acid is the largest organic acid in organic acids. 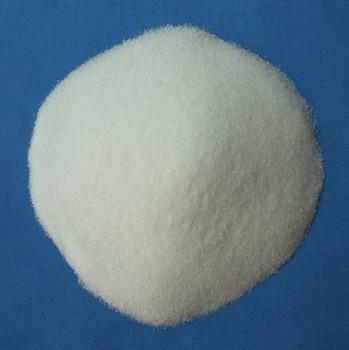 Due to its physical, chemical and derivative properties, citric acid is widely used in food, daily chemical and other industries of organic acids. 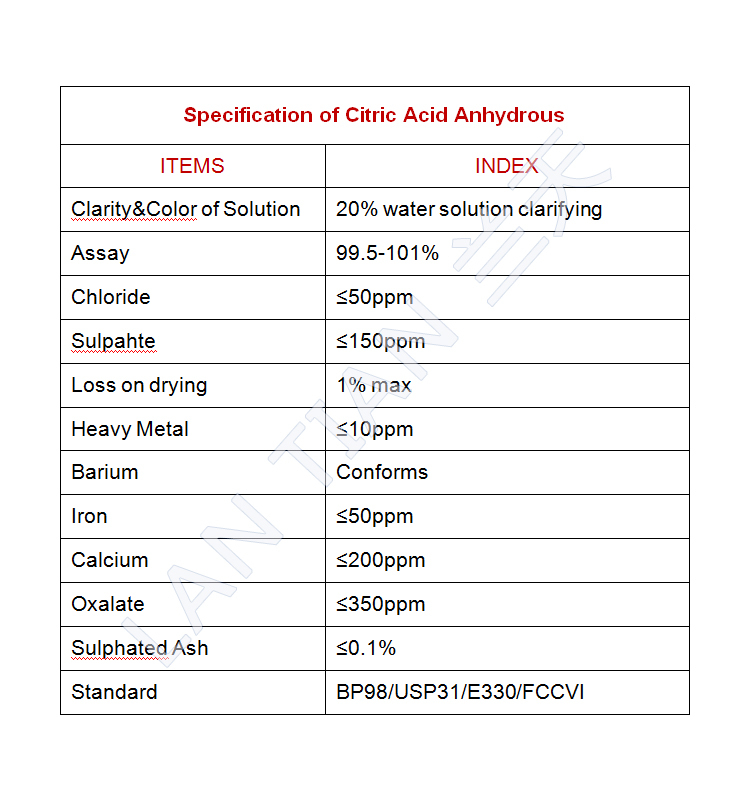 Other name : 2-Hydroxy-1,2,3-propanetricarboxylic acid; Citric acid, anhydrous, USP Grade 1,2,3- Propanetricarboxylic acid, 2 hydroxy-citric acid, anhydrous, USP Grade; Citric acid anhydrous; Citric acid anhydride; 2-hydroxypropane-1,2,3-tricarboxylate. Food industry. It can be used as an acid agent, an antioxidant and pH regulator for cool drinks, jam, fruits and cakes. Pharmaceutical industry. Mainly used as anticoagulant, acidolytic, taste correction, cosmetics and so on. 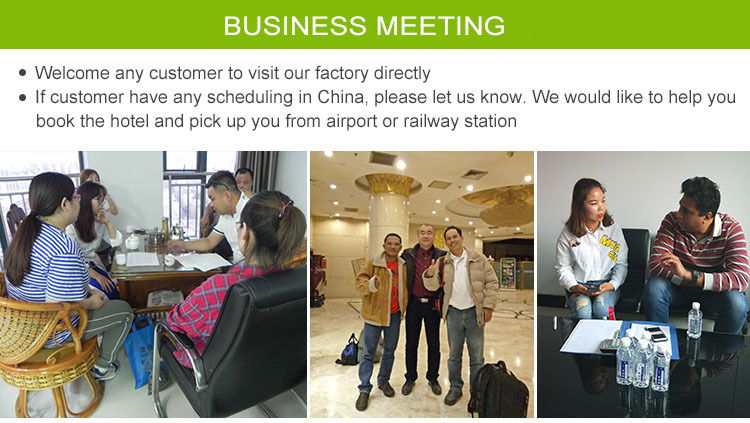 Chemical industry used as buffer, complexing agent, metal cleaning agent, mordant, gelling agent, toner, etc. Addition. Also applied in electronics, textile, petroleum, leather, architecture, photography, plastics, casting and ceramics. 1. How about your MOQ? The MOQ is 1 ton, or depends on the kinds of products. We can accept 30% deposit T/T, or L/C, Western Union and so on. 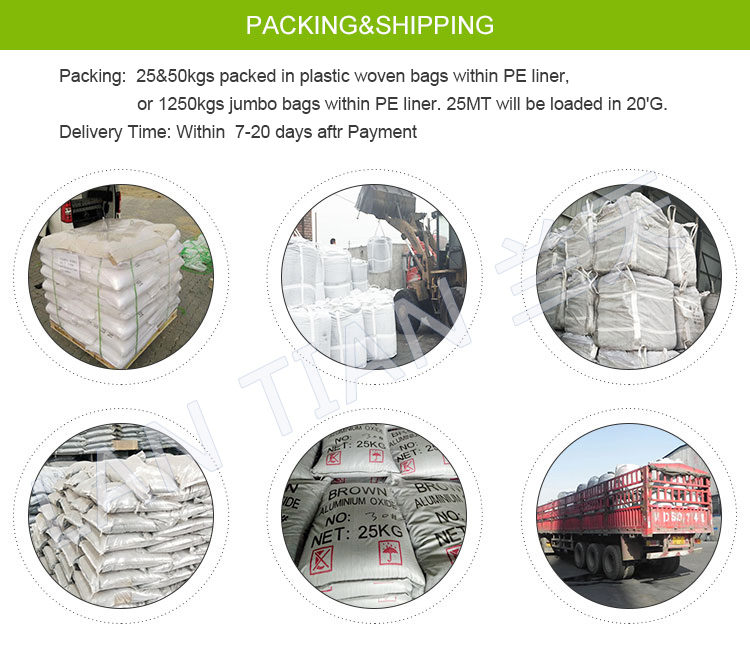 Net weight: 25kg Or as the customers’ requirements. 4. How can I get the sample? We'd like to supply samples free of charge. 5. How does your factory ensure your quality? Our company has our own technicians so that we can guarantee our products from the tip to tow, which we can have our own reputation.